When I tried to enter recovery mode I am not able to move my pointer to different options or select any one. My PC had recently closed after a power failure but I was able to use my pc without any errors. But after using it once and shutting down I am unable to start my pc. At first I was able to start to recovery mode and when I performed fsck check it was stuck so I pressed the restart button of CPU after which I unable to select anything in recovery. Can anyone help me get my pc to start? Your Ubuntu installation seems to be broken according to your description of how did you get there. The easiest way to fix it could be reinstalling Ubuntu. Before you proceed, make a backup of the filesystem (just in case, something bad can happen at any time). You can use command line within the Ubuntu Installer or the wizard with Clonezilla. Launch the Ubuntu installation. In the Installation type, choose Upgrade. 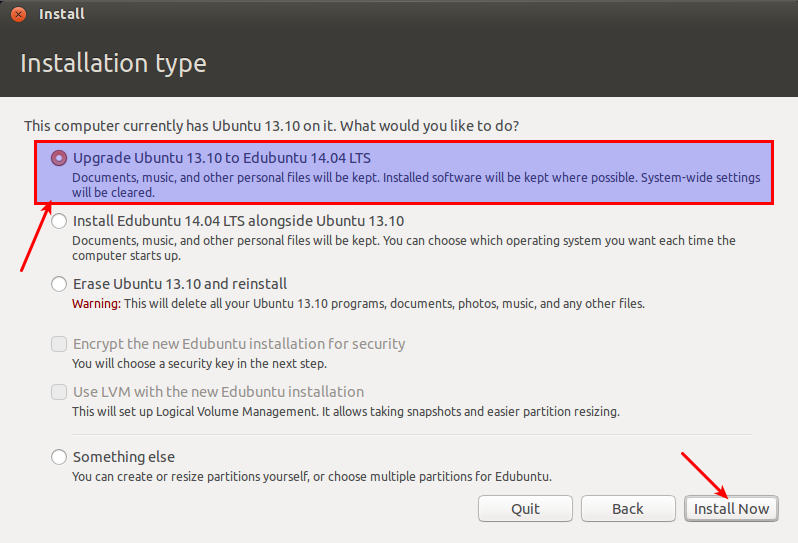 After the installation completes, your refreshed Ubuntu should be there for you. Not the answer you're looking for? Browse other questions tagged boot 16.04 recovery-mode or ask your own question. Blinking Cursor After “Enable Networking” in Recovery Mode and unable to do anything else. 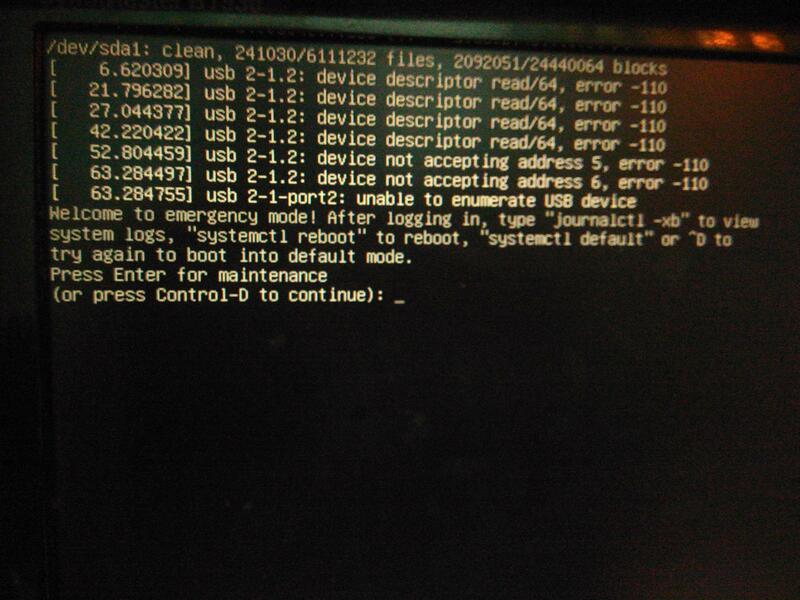 Occasionally I lose write access to the OS partition and need to fsck it in recovery mode. Why is this happening?